Becky Vickers(BECKS) - Everyday Ghost Hunters/Goatman's Bridge Ghost Tours: THE OLDE PARK HOTEL-OVER 30 SPIRITS??? I WANT TO MEET THEM ALL!!!!! THE OLDE PARK HOTEL-OVER 30 SPIRITS??? I WANT TO MEET THEM ALL!!!!! The Olde Park Hotel is one of those places that EVEN before you take one step inside you can just tell that there is a lot going on behind its walls......things like spirits roaming the halls like they did over a 140 years ago!!! 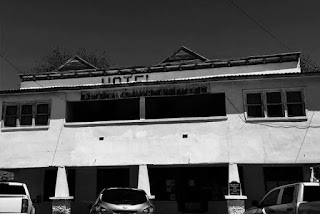 So along with our SPEACIAL GUEST Tui Snider and her husband Larry and my fantastic team, we are packing up and headed to Ballinger, Tx to check out this very haunted hotel. Dan LaFave, the owner will be meeting us at the hotel tell all about the some 30 spirits that are said to haunt this historic property. I am SUPER EXCITED about this weekend and can't wait to see what we find so stay tuned!!! The original owners of the hotel were the Findlay's in 1922. As generations have passed it along, the guests and family members tell new stories that keep the rich history alive. Jeanette's grandmother passed along the building at the turn of the century, including many relatives' hands, and was passed down to each generation of family members. 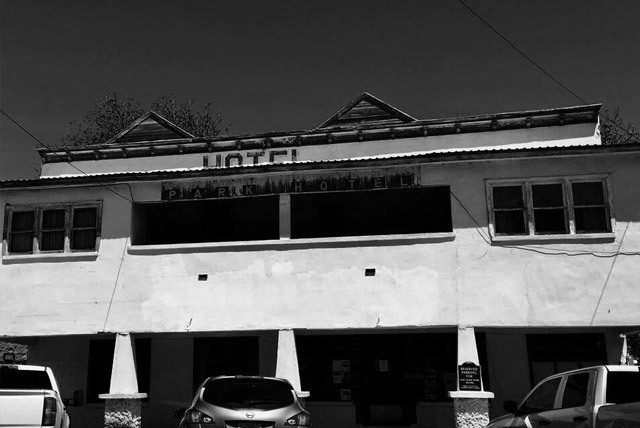 The old hotel has been standing in the same place since before Ballinger became a town, during a time when there were no electric poles, sidewalks, or roads. The building used to be a bunkhouse for the railroad workers and was later sold in an auction in July of 1886. The building was used for various purposes of the town, including school house, meeting house, and even at one time a parlor house. Some of the ghost stories include talking with women who used to live in the building when it was a parlor house, and not realizing that they weren't employees of the antique store. 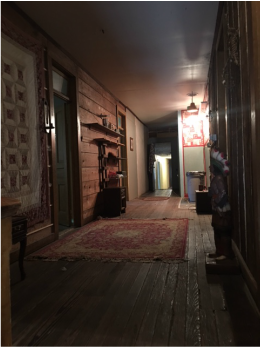 Other spirits such as "Glenn" and "Cowboy" have been noticed by employees, as well as women, with voices and doors opening and closing by themselves. 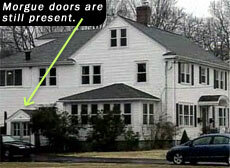 Jeanette has reported she feels there are close to 30 identified ghosts in the building. Footsteps, and cold spots have also been known to accompany the phenomenon along with an occasional pat on the shoulder. People have mentioned that they have had their clothes tugged on and report feelings of uneasiness in the building along with friendly spirits. Dan and Connie LaFave purchased the building in 2016 with hopes of restoring the hotel to a bed and breakfast and preserve its cultural history and unique atmosphere. Dan and Connie LaFave are founders of the Graveyard Shift Paranormal Investigations team which is currently located in San Angelo Texas. The team was first formed in Harlingen, Texas in 2009 with projects including documentaries such as Raising the Ghosts of Yorktown Memorial Hospital and Ghosts of Laborde House. Dan is an author of two books entitled Shadow of the Ghost Hunter and The Supernatural, Texas, and The Old West, which can be found on amazon.com. 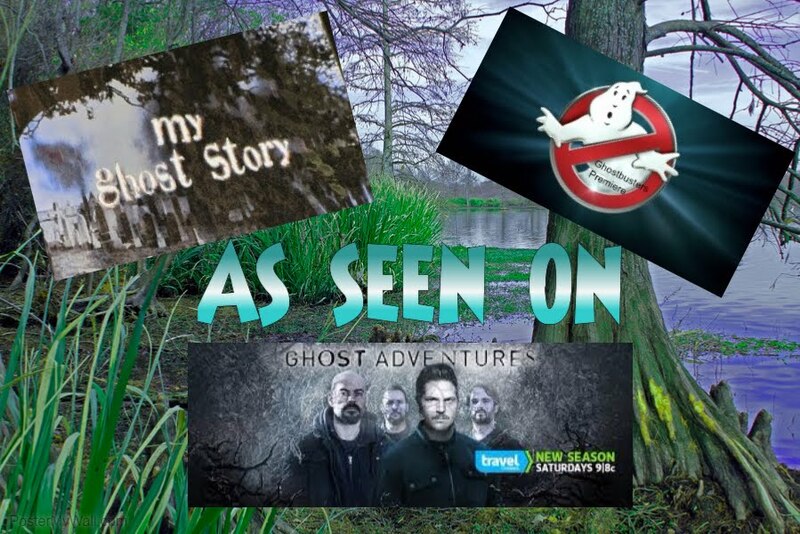 This husband and wife team will give you a ghostly tour that you wont forget, along with some paranormal know how along the way.